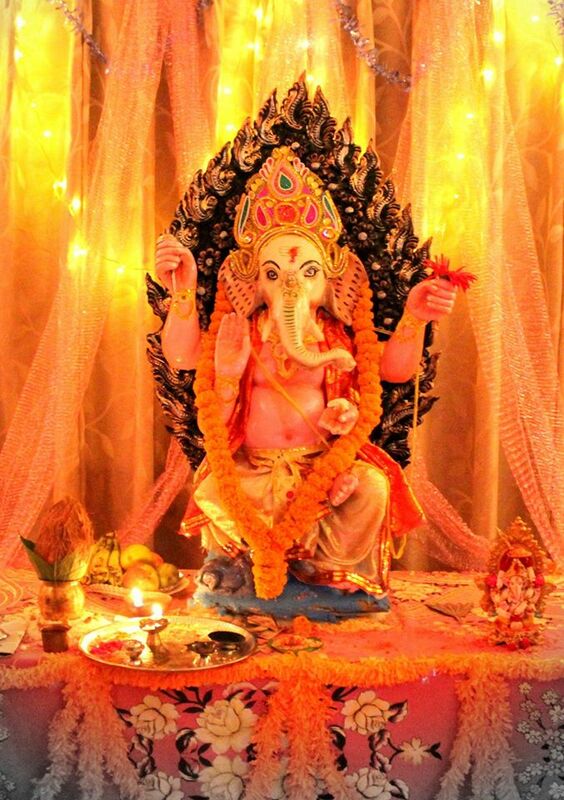 The students at IIM Ranchi showed great zeal and enthusiasm as its Khelgaon hostel became the abode of Lord Ganesha for three days. 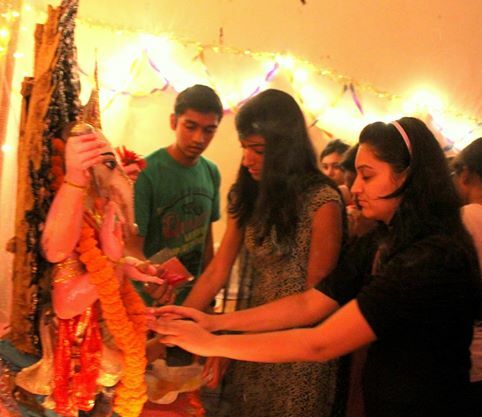 As a part of the initiative taken by the “Marathi Mitra Mandal”, a group of students hailing from Maharashtra , the much-awaited Ganeshotsav was celebrated. 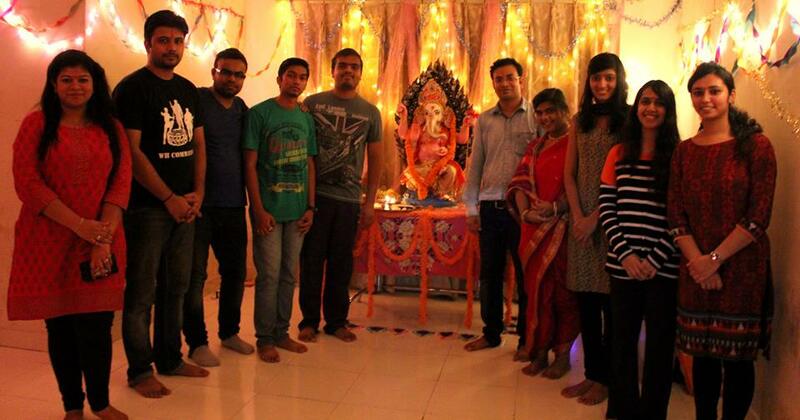 It commenced on Aug 29th with setting up a Ganesh idol in a room beautifully decorated by the students. Glittering lights and bright rangolis formed a sight to behold. It was heartening to see all the students pay meticulous attention in carrying out all the rituals in a traditional manner. It brought out the rich cultural quotient among all of them, and also filled the air with a festive atmosphere. Throughout the three days, excellent arrangements were made for every part of the puja – from the aarti to be performed to the sweets to be distributed. They enjoyed each and every part of the celebration. The lively and vibrant event concluded with the Ganesh-Visarjan procession that left one and all enthralled. The students danced to the tunes of dhol, as they also enjoyed the colourful mood set with gulal. The event was made even more memorable with the wonderful drizzle, as all the students got immersed in the cheerful fervour. There was energy, vigour and a holy sentiment in everybody’s heart. Whether believers or not, it was a delight to see all the students gathered under a roof paying obeisance to their beloved deity. 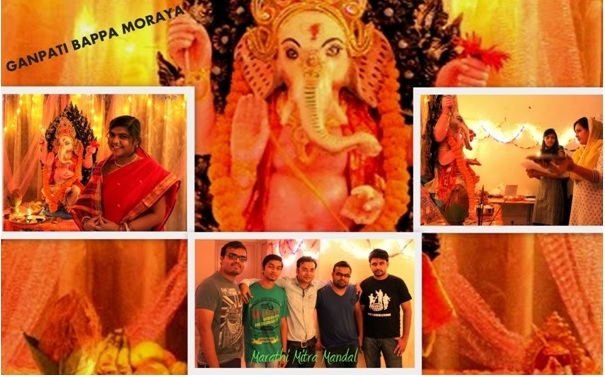 Their spirit and passion was indeed appreciable as one could hear the chants of “Ganpati Bappa Moraya” reverberate. The members of Marathi Mitra Mandal thanked everyone for the immense support during these three days. May the lord of wisdom endow His blessing upon one and all!